Linux will soon contain native support for software defined radio devices like the RTL2832U RTL-SDR. These new drivers written by Video4Linux developer Antii Palosaari should be included in the next Linux kernel version 3.15. Antii Palosaari was one of the first people to discover the SDR capabilities of the RTL2832U. 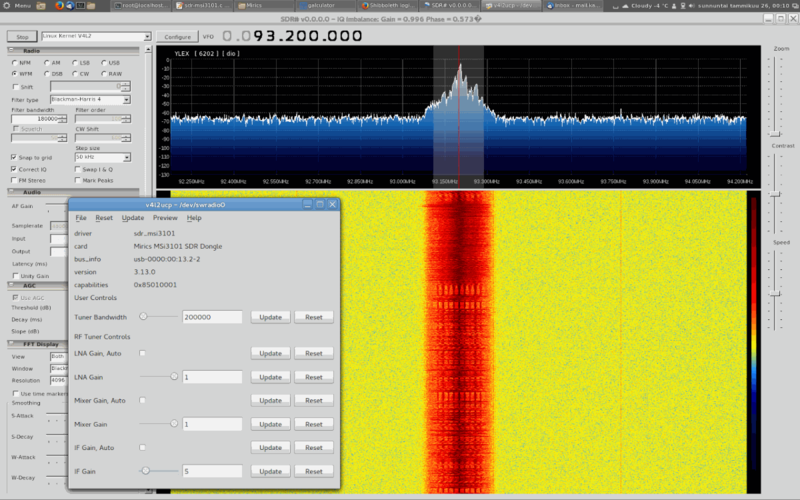 In the image below Antii shows SDR# running in Linux with Mono with the Video4Linux gain control screen brought up.